Dawn's Knitting Notebook with pages of pictures of some of her knitting designs and projects, plus free patterns of some of her designs to share. Information on Dawn's line of knitting patterns for sale at Dawn's Dream Designs. 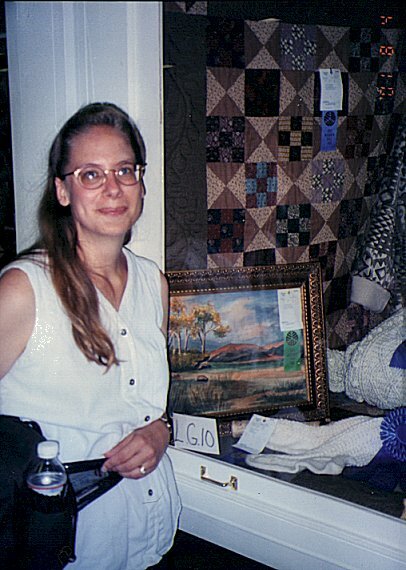 Dawn's Spinning Page shows a bit about her other fiber art passion. For Dawn's classes held at Hobby Lobby in Crystal Lake, IL. 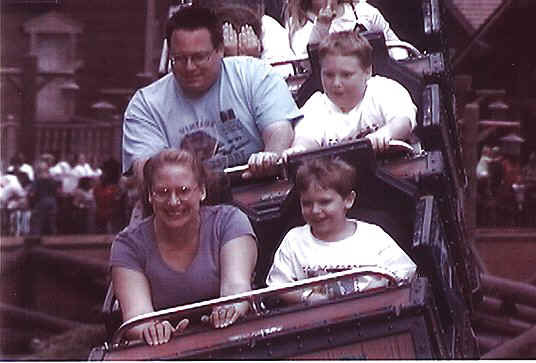 A few pictures from the past of family and friends we'd like to share. 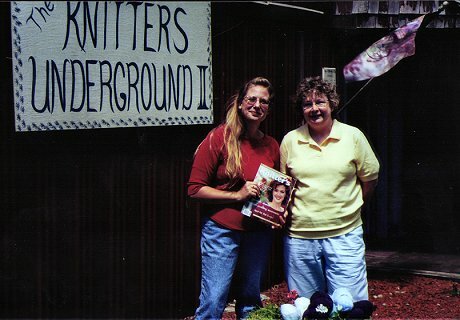 Dawn (on left) with her best "KnitBuddy", Barbara, (on right) during August, 2002 trip together when we first "met" each other after over 3 years of online friendship, at a yarn shop stop at the Knitter's Underground II in PA.
Bart and Barbara with our family at our visit to Niagara Falls, NY. 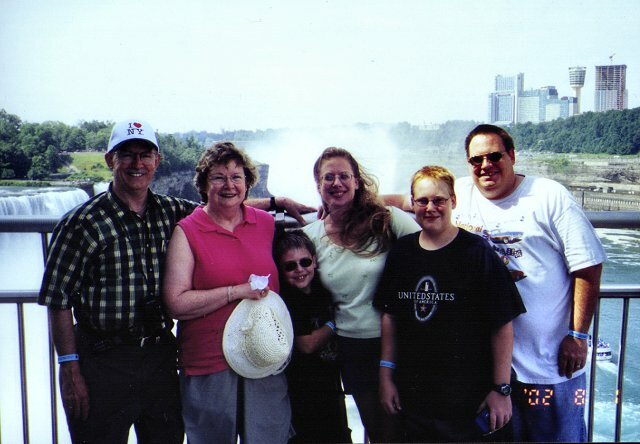 Barbara was a wonderful tour guide, having grown up and worked there in her youth! 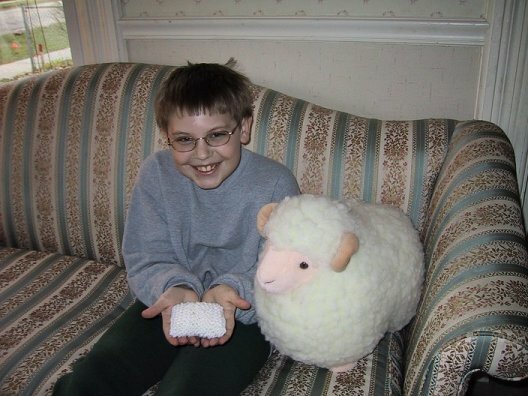 Evan holding his first finished knitting project, a mini pillow! 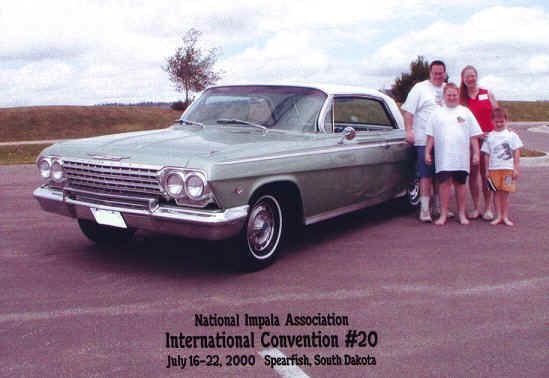 Brad with his 1962 Impala, winner of First Place People's Choice Award at the NIA Regional Convention! � 2003-2009. All text and photos on this site are property of Dawn Adcock. Do not use any content on any other website or printed material, or in any other way, without written permission of owner.